Albert and Amalia are renewing their vows! 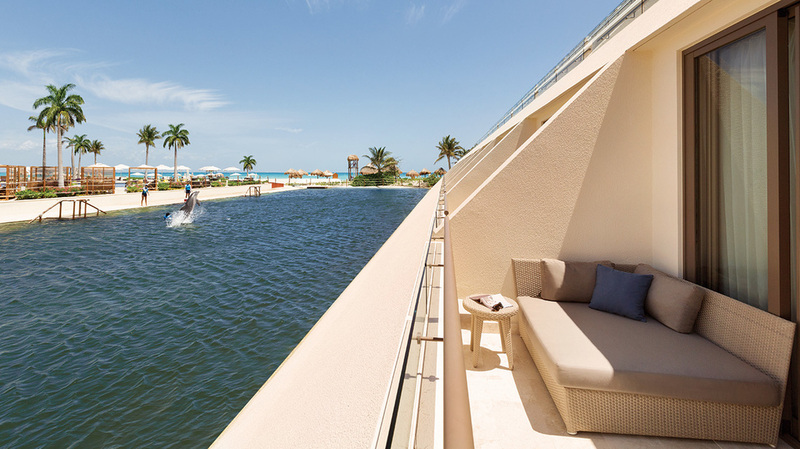 A stunning beachfront resort on the most beautiful strip of Punta Cancun and framed by the Caribbean Sea, Hyatt Ziva Cancun is a playful family escape on Mexico’s Yucatan Coast. Experience the Evolution of All Inclusive™ luxury, where you are inspired to live in the moment. Find your bliss on white sand beaches, and play in the clear-blue waters of the sea. 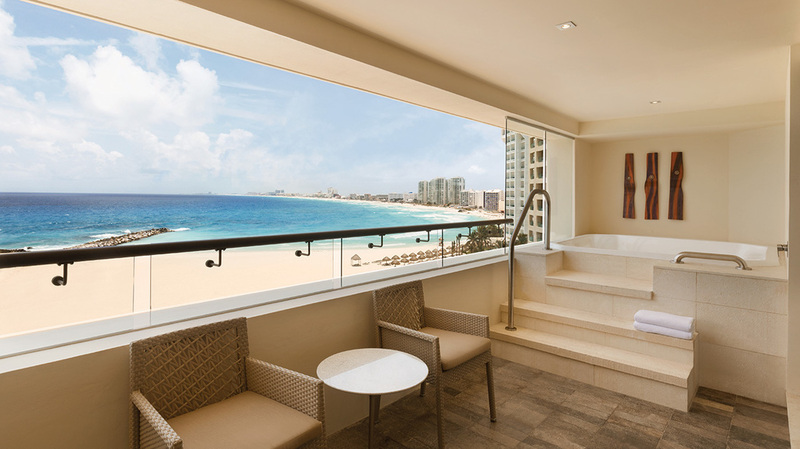 Relax in luxurious suites with balconies and breathtaking ocean views. Indulge your senses at 14 unique restaurants and bars, featuring local and international cuisines. Arrive and relax. A cool towel, a refreshing drink and a warm smile meet you at the doors of paradise. Take it all in. It’s all included, and enveloped with our Service from the Heart™. 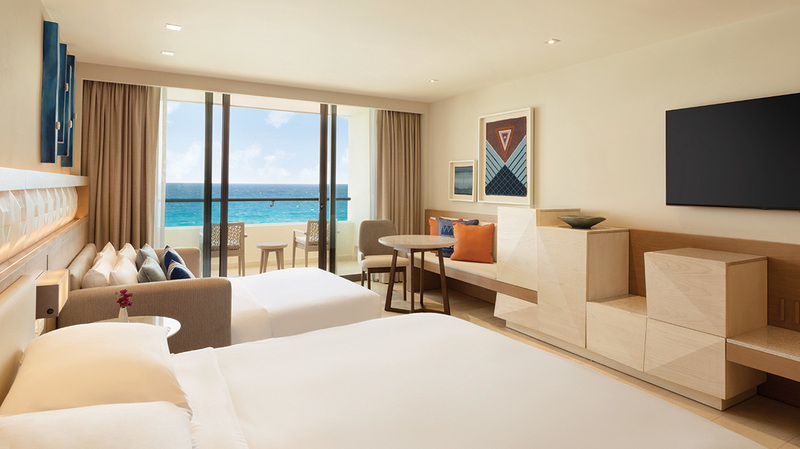 Hyatt Ziva Cancun offers incredible entertainment and family activities, from theater shows to water sports to tequila tastings and a microbrewery. Designed with inspiring architecture, our spectacular resort offers a village-like atmosphere that connects you to the natural beauty and serenity of Mexico’s coast. Lounge in a beach cabana, sip a margarita and enjoy diving, snorkeling, sailing, and swimming in the Caribbean. Soak up the sun at three cascading infinity pools overlooking the sea, including our pool bar and indulge in the luxury of butler service. Surrounded on three sides by the bluest sea and whitest sand, your most difficult decision is where to lay your towel. Rejuvenate body and soul at the oceanfront spa, with a massage, holistic body treatments, hydrotherapy, a fitness center, and beach palapas. Families love our KidZ Club and interactive Dolphin Encounter in a habitat that supports ocean preservation. And when you want to celebrate or tie the knot in paradise, we offer beautiful indoor and outdoor event spaces, including a ballroom, lush gardens and a beach pavilion. Reconnect with family, indulge in unexpected adventures, unwind in pure relaxation or celebrate your romance. Please add Heather@HeathersTravelDeals.com to your email address book. This will help prevent my emails from ending up in your spam folder and increase the likelihood that you will see them. More and more of my clients are missing my emails because of new spam mail filters, even though I will never spam you. Please specify the number of adults and the number of children. If children will be coming with you, what are their ages?